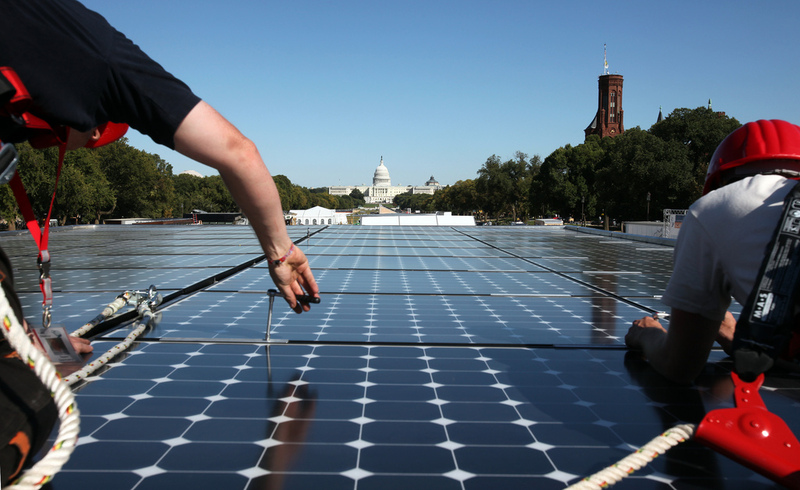 Last week, District of Columbia councilmember Mary Cheh introduced the Clean Energy DC Act of 2018, legislation that, if enacted, would require 100 percent of the electricity sold in the District to come from renewable sources by 2032. The act also specifies new guidelines for retrofitting existing buildings that emit substantial greenhouse gases into more energy efficient structures. The bill must be reviewed by committees before a vote takes place, which would probably happen sometime in the fall. In the wake of the United States’ withdrawal from the Paris Climate Agreement, many U.S. cities have set their own sustainability goals, and the attempts have taken various forms, including a pledge by Saint Paul, Minnesota to make all of its buildings carbon neutral by 2050. Under the watch of D.C.’s Department of Energy and the Environment (DOEE), the New Building Emissions Standards proposed by the act would regulate the energy performance of the District’s buildings and introduce benchmarks for future construction. Regulations would include cover energy usage and energy efficiency, among other topics. An incentive and financial assistance program would be set up, while penalties would be issued for buildings that fail to comply. Cheh’s office told AN that the act does not intend to create prescriptive policies aimed at restricting the building industry, but the Washington, D.C., chapter of the American Institute of Architects (AIA|DC) expressed that that is a concern. They note that the current proposal “contains ambiguity and leaves the setting of performance criteria up to D.C. DOEE staff without clear opportunity for stakeholder input,” according to an earlier comment. Despite these comments, the AIA|DC said that it is proud that the city intends to lead the nation in setting a new standard for clean energy. This is not the first time that Washington’s building sustainability efforts have come under the spotlight. Last year, the city was dubbed the “quiet capital of sustainable design” by Huffington Post. They reported that in 2016, the city’s volume of certified green buildings per capita was almost eight times that of Massachusetts, and over 11 times the average for the top ten greenest states. D.C. was later named the world’s first LEED Platinum City in recognition of the city’s efforts in reducing greenhouse gas emissions and promoting clean energy in the built environment. 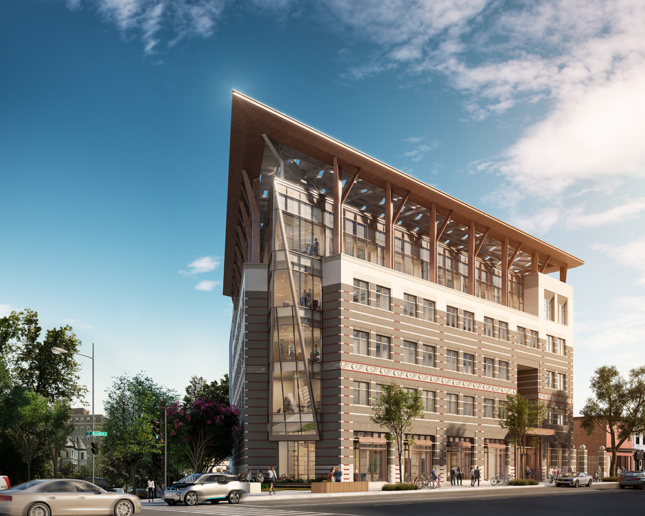 One innovative green building currently under construction in D.C. is the American Geophysical Union (AGU) Headquarters. Its “net zero” design means it generates as much energy as it uses. Design features include a photovoltaic array, a radiant cooling system, a green wall, a direct current electrified grid, a water reclamation cistern, and a municipal sewer heat exchange system. The building is seeking the Net Zero Energy Building (NZEB) Certification by the International Living Future Institute.